Victor Anggono received his PhD in 2007 from the University of Sydney and undertook his postdoctoral training at the Johns Hopkins University in Baltimore, USA. In 2012, Dr Anggono returned to Australia as an NHMRC CJ Martin Research Fellow and joined the Queensland Brain Institute at the University of Queensland, where he is currently a Senior Research Fellow and Group Leader at the Clem Jones Centre for Ageing Dementia Research. His research aims to understand the molecular mechanisms of synaptic vesicle and glutamate receptor trafficking in neurons, processes that are essential for synaptic transmission, plasticity, learning and memory, and how their dysregulations impact on the pathophysiology of neurodegenerative diseases and neuropsychiatric disorders. Dr Anggono has published in journals such as Nature Neuroscience, Neuron, The Proceedings of the National Academy of Sciences USA, Journal of Neuroscience and Cell Reports, and has attracted more than 1500 citations. 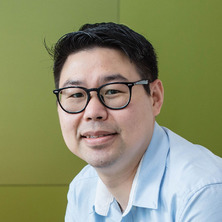 For his works, Dr Anggono was awarded the Boomerang Award (Australian Society for Biochemistry and Molecular Biology, 2011), the Young Scientist Award (Federation of Asian and Oceanian Biochemists and Molecular Biologists, 2015), the Science to Art Award (NHMRC, 2015) and more recently the Young Investigator Award (Asian-Pacific Society for Neurochemistry, 2016). The molecular basis of vesicles and receptors transports between sub-cellular compartments essential for neuronal communications, learning and memory. The molecular mechanisms underlying activity-dependent gene transcription in synaptic plasticity, a cellular correlate of learning and memory. How neurons communicate with each other in the brain is one of the outstanding and most fascinating questions in modern neuroscience. This basic science research program will provide a detailed understanding of three essential biological processes; (i) presynaptic vesicle recycling, (ii) postsynaptic glutamate receptor trafficking, and (iii) epigenetic regulation of synaptic plasticity. These systems are crucial for virtually all function in the central nervous system. As most of these processes have been implicated in neurological disorders, such as epilepsy, Alzheimer's disease, schizophrenia and bipolar disorder, results from Dr Anggono's research program will also provide insights into the principles underpinning disease aetiology. Understanding of the molecular mechanisms of neuronal communications will allow us to devise potential meaningful and novel therapeutic strategies to target these neurological disorders. Anggono, V. and Robinson, P. J. (2009). Dynamin. In Larry R. Squire (Ed. ), Encyclopedia of Neuroscience (pp. 725-735) Amsterdam , The Netherlands: Elseiver. Robinson, P. J., Anggono, V. and Cousin, M. A. (2006) Control of synaptic vesicle endocytosis by dephosphorylation of dynamin I. Neurosignals, 15 1: 49-49. Anggono, V. (2017). Pacsin regulates the dynamics of AMPA receptor trafficking and synaptic plasticity. In: ISN-ESN 2017 Meeting, Paris, France, (57-57). 20-24 August, 2017. Regulation of glutamate receptor trafficking in synaptic plasticity, learning and memory.